It has taken what seems like forever but I have finally tested all the products in the Swanicoco Fermentation line. I am excited to share my thoughts on these products and how they worked on my skin type. On a side note, I do not feel I can write an honest and thorough review until I have tried a product for at least a few months, if not longer depending on the type of product. I just feel like I wouldn't be giving you, my readers a fair review if I only try a product a few times. I always want to remain completely genuine and because of that, my reviews may take longer to post then other bloggers. I would also like to mention that this line was so very graciously sent to me by Swanicoco. Swanicoco is a Korean beauty brand that began in the early 2000's by making naturally fermented soaps. The company has since evolved, transitioning into a brand that offers skin care and makeup products. 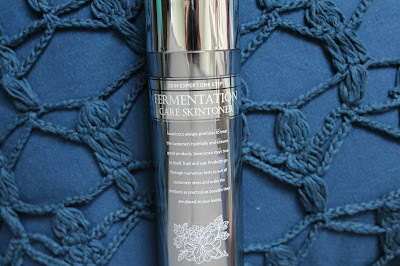 Their philosophy is to create eco-friendly and skin improving, effective products that contain no harmful ingredients. The focus is on integrating natural, fermented ingredients coupled with biotechnology research to develop their formulations. Swanicoco is a company that works to create natural cosmetics, both skincare and makeup for women and men using only the highest quality ingredients, utilizing the most cutting edge technology. All products contain no artificial dyes, fragrances or chemical preservatives. Further, the products are alcohol, mineral oil and paraben free that are safe, hypoallergenic and ideal for all skin types, even those most sensitive of skin's. To start, I like to begin my reviews with stating my skin type and concerns. My skin type during this time of the year is normal to combination. My skin can be quite sensitive, temperamental and acne prone. However, with the incorporation of my Curology treatment and more recently, Differin seen here, my skin seems to be less prone to breakouts but more easily dehydrated and flaky. My review will reflect how these products works for my personal skin type and condition and as a disclaimer, your results may vary. The Fermentation Care line claims to offer dual function for both brightening and anti-wrinkle care. These products are for all skin types to help improve elasticity, skin regeneration and keep the skin moisturized, hydrated and healthy. This luxury line is geared toward those 25-30 years young :) with dry, aged and sensitive skin. Every product I use goes through a very detailed patch testing period. I always patch test and I recommend patch testing to everyone. Although there is an argument out there that patch testing doesn't actually work seen here on The Beauty Brains, patch testing has saved my skin from some pretty seriously negative reactions. Although I do agree with TBB (and love this pod cast btw) that patch testing does not work against evaluating whether a certain product will cause breakouts, patch testing will help determine if your skin is allergic to the ingredients and/or formulation. This type of negative reaction is seen in the form of itching, stinging, intense flushing, burning, rash or hives. I introduce new skin care products to my easily irritated skin by patching testing. Patch testing can look different for everyone but for me, I test products in stages. For these products, I applied them to my more sensitive areas which happens to be my neck, chest and behind/in front of my ears. I would apply a product twice within a 24 hour period. If all goes well, I begin to use on half of my face and then work up to applying the product all over. All of the products in the Fermentation line come in sturdy plastic containers that have a shiny chrome finish and white lettering. This packaging really pops and looks fancy! All containers except for the cream and eye cream have a pump. Although beautiful for displaying, these containers were so damn difficult to photograph...it was so frustrating! There are full reviews on each product. Formulated with Aspergillus/Rice and Wild Ginseng Fermented Filtrate plus niacinamide and peptides. This toner is a slightly milky toner that feels a little more dense than a regular watery toner but still absorbs quickly and leaves a semi-matte finish. So let's talk ingredients because the toner, and all the other products in the line have some pretty spectacular ingredients. 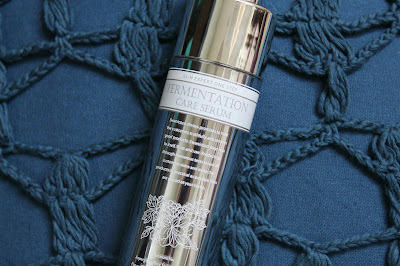 The first ingredient is aspergillus/rice ferment aka sake...a type of yeast that offers outstanding results for brightening and evening out skin tone, lightens/fades hyper pigmentation and strengthening skins' elasticity. Wild ginseng, a common ingredient in Hanbang, traditional Korean medicine has been shown to also strengthens elasticity plus helps prevent wrinkles. Peptides not only stimulate collagen production in the skin which in turn helps promotes firmer skin, peptides are great for inflammation making peptides a great amino acid for repairing and healing skin. Niacinamide, like sodium hyaluronate, helps to strengthen the moisture barrier and prevent moisture loss. There is also hydrolyzed collagen to help plump skin and support the skin's structure. 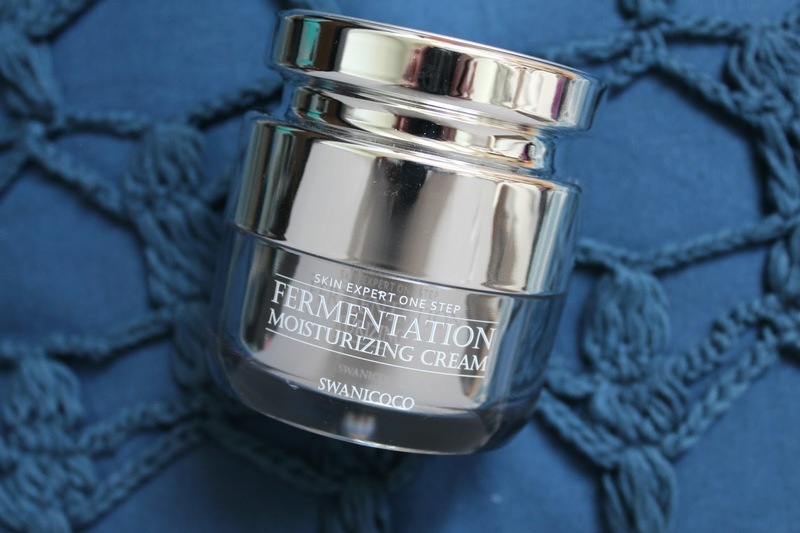 This also contains ferment filtrate extracts such as bacillus, lactobacillus and saccharomyces that all help to brighten, support the skin's structure and help increase skin hydration. A few other important ingredients include mushroom, centella asiatica and green tea extracts which are all potent antioxidant that help repair, soothe, calm and provide nutrients to the skin. I really enjoy this toner because I found that when I use it, my skin just seems more even toned, bright, supple and hydrated. I also found that this helped draw other products I use after deeper into the skin. The consistency is very nice because although it is super hydrating, it did not feel heavy on my skin. One negative is the scent which is quiet strong but it does dissipate fairly quickly. It's not a bad scent, reminds me of a fresh floral but at first it is bit strong. SIDE NOTE! The only other complaint is the packaging (the pump cap thingy) as it falls right off the container! The containers with pumps did come with these clear plastic stoppers. Not only is the serum formulated with the same ingredients as the toner, this also contains astaxanthin, ceramide, aloe and licorice. Those ingredients that different from the toner above is astaxanthin, a potent antioxidant that stimulates collagen production, reduces melanin production by 40% which diminishes dark spots, freckles etc. One study has shown (Yamashita, 2002) that it's whitening/brightening effect on the skin is far superior than topical vitamin C. Aloe and licorice provide additional soothing benefits. This is by far my favorite product out of the line! As you can see in the above pictures, this serum has a very thin, milky consistency that soaks in quickly and leaves no residue behind. I love how this absorbs fast, layers well under or over any other products plus I love how bright it makes my skin. Since having IPL and mircoblading down on my eyebrows, I have not been using most of my actives (retinoids, vitamin c, BHA, AHA) but this product has been working hard at correcting my post acne scars. Since I have not been using actives, I have still found that my acne scars and hyper-pigmentation have significantly decreased with using this product consistently. I believe it is this serum that has continue to work at brightening and fading stubborn spots. Overall, I would repurchase in a heart beat! I have actually purchased a backup because it is one product that I don't want to be without. I love this serum and although the scent is rather strong, the fragrance did dissipate, especially when layered with other skin care products. 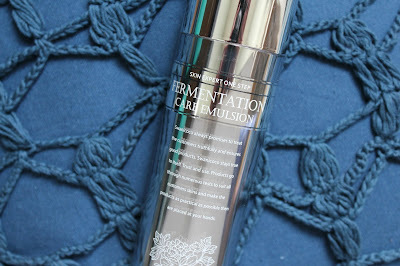 The emulsion is extremely similar to the rest of the products I have already reviews above as far as ingredients. 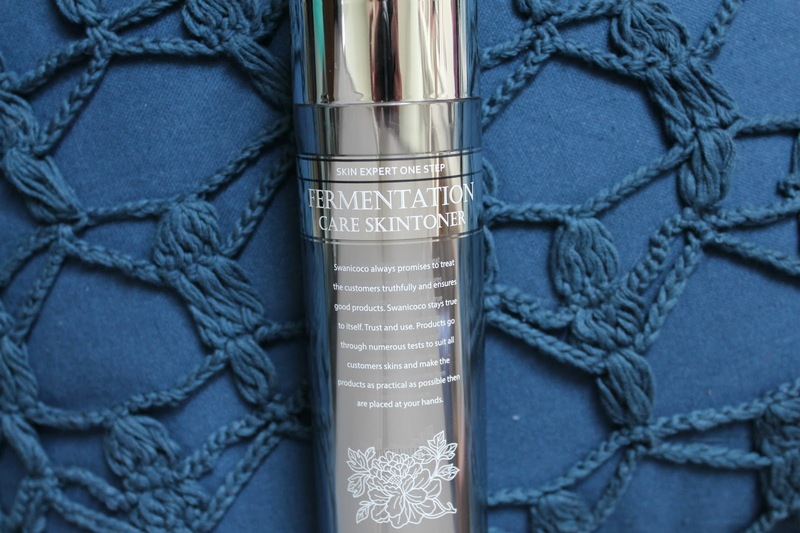 This product offers the same well formulated, ferment and EGF complex to help brighten and moisturize the skin. 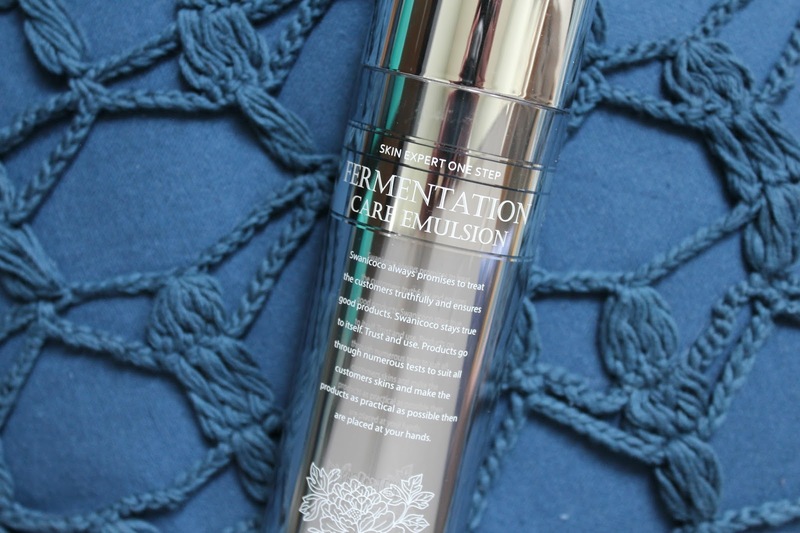 This emulsion has a higher concentration of hyaluronate and collagen but includes the same, potent ingredients as all products in the Fermentation Line. The ingredients of the emulsion are almost identical to the toner above. The emulsion is just that, a light weight lotion style moisturizer that is not heavy or oily feeling plus it absorbs quickly. This has that same fresh floral scent as the toner but the scent of the emulsion does not seem to dissipate as quickly. This drys down semi-matte so it would be an option for someone with normal to oily skin. After application, my skin feels spongy and moisturized, if that makes sense. Basically this isn't very heavy nor is it too light, your skin just feels hydrated. 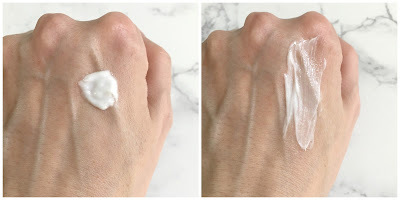 For those that do not need a light weight moisturizing lotion style, this may be something you might enjoy, especially with the stellar ingredients that offer visible brightening. 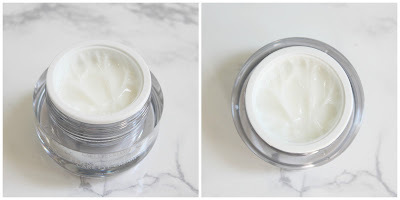 Overall, I found this very hydrating and perfect for layering. I think those with super oily skin might find this too moisturizing. Between this and the cream (reviewed below) this was the clear winner for me. Even during the colder months, I found this gave me enough moisture especially when layered with hydrating essences, serums etc. Overall, a solid emulsion but if you are sensitive to scents, I would not recommend this to you. The fragrance did dissipate but not as much as the serum or toner. I would still repurchase because you are getting a fantastic formula for under 40 bucks! Again, a side note...I had the same issue with the emulsion as I did with the toner with the top. It kept falling off...so frustrating. This is a moisturizing and wrinkle improving cream that also helps to improve skin tone, elasticity and helps control the oil/water balance of the skin. This cream is almost identical to the other products reviewed above however, this cream also contain aloe vera extract, as well as additional plant/root extracts plus an added peptide. This is more of a gel cream texture yet it is quite dense. I found this to be extremely moisturizing and often too heavy for my skin. For the super cold, winter nights, this kept my skin very plump and hydrated. My skin can often get dehydrated, especially in the winter months. This helped bind moisture to my skin, keeping my skin very moist. Don't let this cream fool you, it might look like a gel but it packs a punch and often takes awhile to stink in. I also found that this cream didn't layer well with other products. If I didn't wait at least 30-40 minutes between my last layer and the cream, it would ball up like a peeling gel. Although I love my long routines, I did not like that I had to wait almost an hour to put on cream. I would definitely reserve this for nights that you do not plan to do a long skin care routine. 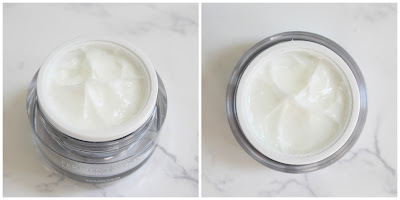 Overall, while I love the moisturizing and hydrating power of this cream, I have found other creams that hydrate almost as good, are not as heavy and layered much better than this. The scent was another downside. This has the same, strong fresh floral but this cream has a slightly more "aloe" aroma. This is a dual function eye cream for brightening, wrinkle care, increasing skin tone, and improving texture. 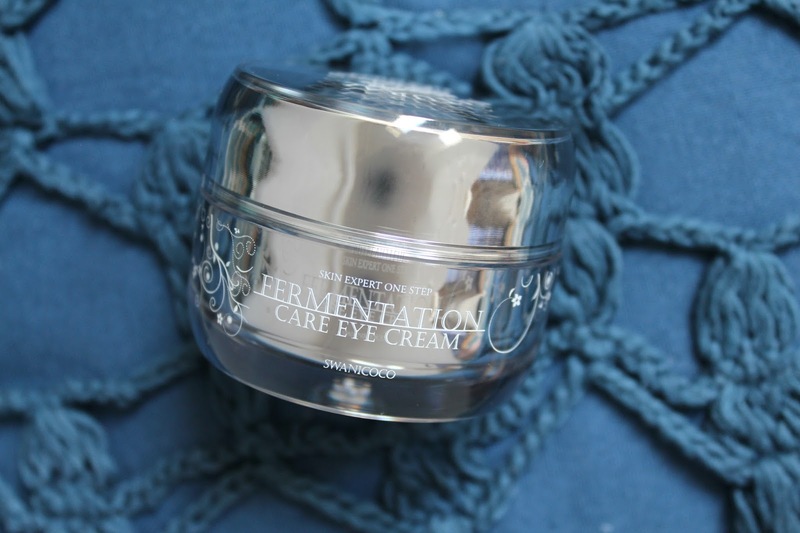 The first ingredient in all the other products mentioned in the fermentation line is fermented rice, the first ingredient in this eye cream is ginseng. This contains additional peptides and ceramide. As you can see from the pictures above, this eye cream has more of a gel texture that is light but moisturizing. Again, this had the same strong floral fragrance that honestly I could tolerate around my eye area. However, this did a fine job at moisturizing my dry under eyes, soaked in fast and created a nice surface for applying concealer. I really enjoyed the texture of this product, just was not a huge fan of the scent, especially around my very sensitive eye area. I used this eye cream primarily in the morning and save my more dense eye products for night time. For those who are looking for their first eye cream, this would be a great option if you can handle the scent. This is a solid formula containing potent ingredients to help preserve the skin and prevent aging. Overall, I would not repurchase although I love the formula but that scent is just way too much. This entire line is formulated for those in the 25-30 age range to help repair skin damage but mainly targets age prevention. I find that this line would be perfect for those in their 20's that are seeing the first signs of aging. As a side note, it is much easier to prevent skin damage! It is very hard to correct and restore damage that has already been done to the skin. The formulation is definitely very age preventing and will help strengthen the skin's structure, keeping your skin moist, hydrated and nourished. I would also like to point out that sunscreen should always be worn to prevent the damaging and aging effects of unprotected UV exposure. Aside for the heavy floral scent, I found these products to be very brightening and hydrating. My favorites out of the bunch are the toner and serum because I found that these were the most brightening and left my skin looking luminous. This line, as well as other product from Swanicoco can be purchased at various sites, but I have found that YesStyle.com has some of the best prices.